BRD got in the Bearville Times! Anyway, thanks to everyone who participated in our forum photoshoot! 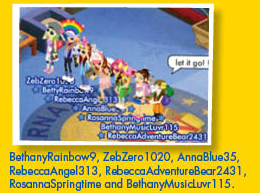 We’re planning on having another one on Sunday, March 16th, at 10 PM Bearville time (EDT)! Be sure to come to the Pawforming Arts Center in the den Rainbow Ranch at that time!